If there’s one brand that we are all dreaming off since ages, it must be Nokia, who recently made a comeback to the smartphone world with three Android phones and one feature phone. Nokia is planning to announce some other phones to take on the flagship department in Q2 2017, and one of them might be the Nokia 9 whose specifications have tipped by a reliable source. According to NokiaPowerUser, the Nokia 9 will be the first flagship phone from Nokia, and it might well be the first Nokia phone to pack the IRIS scanner. The leak also reveals that Nokia is planning to add a 5.5-inch QHD OLED screen to the Nokia 9 to match the rivals such as Samsung Galaxy S8 and LG G6. We might see the Qualcomm Snapdragon 835 chipset powering the Nokia 9 with massive 6GB of RAM and Adreno 540 GPU for handling the graphics. The leak suggests that the phone will come in two storage options- 64GB and 128GB along with microSD card slot for storage expansion. Camera wise, the Nokia 9 is expected to pack a 22MP Carl-Zeiss dual rear camera. 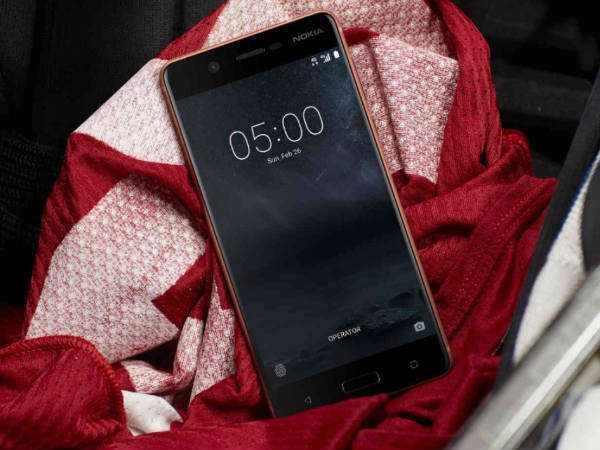 Up front, Nokia might include a 12MP front-facing camera with support for the flashlight as well to take beautiful shots in low-light conditions. The Nokia 9 might feature a fingerprint sensor embedded into the home button, same as the other Nokia phones such as Nokia 5 and Nokia 6. The Nokia 9 is rumoured to come with a 3800mAh battery with Qualcomm’s QuickCharge 4.0 technology. Also, the Nokia 9 will be the first phone to pack the newly announced Nokia OZO Audio technology, says the leak. Another interesting part is that Nokia 9 will be IP68 certified and runs Android Nougat out-of-the-box, claims the rumour. All said, these are just tipped specifications, but there’s a possibility that Nokia 9 will get these specs, after all, considering it as a flagship phone. Recently, two Nokia phones, purportedly, the Nokia 7 and Nokia 8 with dual rear camera surfaced online, but we’re assuming them to be placed in the upper mid-range segment with Snapdragon 660 SoC. There might be two Nokia flagship phones, the Nokia 9 and Nokia 10 or maybe the Nokia 8 might be a flagship phone with a dual camera and less powerful chipset such as Snapdragon 821. Nothing is warranted for now, so take these things with a pinch of salt.